Are you willing to tour Agra and explore the beautiful monuments without disturbing your schedule? 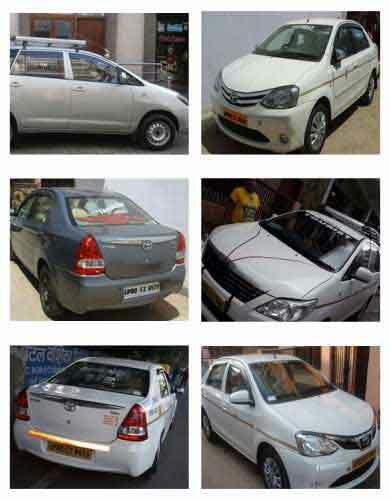 You can do it in a day with the Same Day Agra Tour by Cab from Delhi. Agra houses magnificent The Taj Mahal, built in the memory of Mumtaz Mahal. It is one of the Seven Wonders of the World. The soul of this creamy-white monument is replete with elements of love and passion and also remorse and loss. The Taj Mahal was constructed by the Mughal Emperor Shah Jahan and has a historical significance. To explore the majestic beauty of a wonderful monument, the best option would be taking the same day Agra tour by cab. One of our travel agents picks you from the hotel in Delhi. Your tour begins while our driver drives you to Agra from Delhi. The distance between Delhi and Agra is 210 km and so it takes nearly 3 hours. When you enter Agra, Sikandra Fort is the first building and historical site you visit. Sikandra Fort is a famous building, a historical site in Agra flocked by tourists from all across the globe. Sikandra Fort has the blend of Hindus, Islamic, Jain, and Christian themes and was built by Akbar and completed by Jahangir later on. The fort is named after Sikandar Lodhi, the ruler between 1488 and 1517. Sikandar Fort is 10 km away from the famous city center. At around 11 am, you visit the Red Fort and complete the nearby sightseeing by 1 pm. After a visit to the Red Fort, you take your lunch and then again we begin by 2 pm. Taj Mahal is the chief highlight of same day Agra tour. The Taj Mahal is on the banks of river Yamuna and is built by using pure white marble. It was constructed by Shah Jahan on 1652 to commemorate his beloved wife, Mumtaz Mahal. The entry fee is Rs. 40 for Indian citizens. Agra Fort is the most famous building of the Mughal Era which is again on the banks of River Yamuna. Made by pure sandstone, the Agra Fort has 4 gates.